HSINCHU, Taiwan and SUNNYVALE, California – March 8, 2006 -- Faraday Technology Corporation (TAIEX: 3035) and Computer and Information and Communications Research Laboratories (ICL) of ITRI announced the successful completion of a dual function 0.18 µm CMOS SOC design platform. The platform is capable of processing audio/video streaming, video compression, and network data storage. In addition, it also integrated ICL's application software that caters to network surveillance camera and IP TV station, which includes high performance network communication protocols and media streaming process technology. The highly integrated platform considerably simplifies the design effort needed for those who wish to integrate IP protocol data and 3G communication in a single chip. The new SOC is based on the Faraday's multimedia SOC platform FIC8120. This platform is composed of an embedded ARM v4 based 32-bit RISC CPU-FA526 with maximum clock speed up to 220 MHz. Embedded within is the MPEG/JPEG Codec Engine that enables MPEG4 and Motion JPEG compression, which can accommodate video server of several different specifications. Furthermore, the platform also includes 2-way audio communication software that support s RTSP and 3GPP protocols making it an ideal design solution for multiple location conferencing and audio conferencing between network surveillance host and remote workstations. 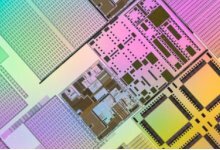 Undoubtedly, the platform will be viewed as a model for chip designers worldwide who wish to design ICs targeting smart network equipment, data broadcasting, interactive communication such as IP TV station, and other value added peripherals. “We are very excited with the result of our collaboration with ICL. The joint effort clearly demonstrated the synergy between the two parties in the area of software, hardware, firmware, and application software integration. The SOC solution enables the development of a single chip that integrates all the functions pertaining to Network Surveillance Camera and IP TV Station”, said C. J. Liang, associated vice president of Multimedia Business Unit at Faraday. “ We started out with FIC8120 platform last year, which was designed specifically for network camera, but today, with the addition of video streaming capability and various communication protocols, Faraday will be able to provide the security industry with more product diversification and technology support ”, he added. “We choose Faraday as our partner because of its expertise in the multimedia design development. The FIC8120 is a comprehensive design platform with fully integrated microprocessor, silicon IPs and software. The entire platform has been verified through vigorous testing in UMC 0.18 µm CMOS process. With ICL's contribution in application software and firmware such as network camera and video streaming technology, customers are able to, via an easy to use API interface, complete product development, verification, and hardware and software integration quickly and easily”, said Kevin Yang, the leader of Communications System Project at ICL. “I firmly believe that the success of this joint project paves the road for future development in the high resolution Digital Video Recorder (DVR) solution”, he added.